Achieve your mission by creating great data that fuels innovative business decisions. Does your agency have its data situation under control? What does it take for your team to refine raw data into something useful? What does the process look like to access and ingest, parse and prepare, discover and profile, transform and cleanse, and extract and deliver data of all types? Typically, 80 percent of a data scientist’s time is spent preparing the data for analysis—not on the analysis itself. With the Informatica Intelligent Data Platform, your raw data from practically any source (like legacy systems, transactional systems, social media, or the Internet of Things) or any location (whether on premise or in the cloud), will be turned into great data that’s delivered securely where it needs to be, when it needs to be there. The ability to share data across these systems gives government the opportunity to improve how it conducts business. Bringing data together from multiple sources offers agencies unprecedented insight into citizens, programs, services, departments, organizations, providers, and employees. Informatica’s solution takes information from multiple sources and creates a complete, accurate, and reliable master record. The software identifies the data and then provides visibility into discovered relationships—even when that data is stored in different formats. It transforms inconsistent, duplicate, and conflicting data into a single version of the truth—a golden record of all the critical entities associated with your agency or program. A recent Ponemon study showed that 57 percent of IT practitioners do not know where all the sensitive or confidential data exists within their organizations. This statistic doesn’t do much to inspire confidence and trust, especially when the General Accounting Office (GAO) has estimated that cyber attacks on the U.S. government have increased 680 percent over the last six years. One way to mitigate risk is to discover and permanently mask confidential and sensitive data from non-production environments, such as test and development environments. Another is to dynamically mask data stored in production systems to provide more tightly controlled access, and give control of this function to the business users who understand the nature and context of the data. As agencies wrestle with antiquated IT systems and increasing volumes of data, the journey to the cloud can seem too difficult. Yet, the promise of saving billions of dollars per year is compelling enough to stay the course. To help guide you on your way to the cloud, Informatica offers a proven data-integration platform that addresses your data needs during and after your migration, consolidation, or rationalization. Your data will get where it needs to be, when it needs to be there, in the format it needs to be in. 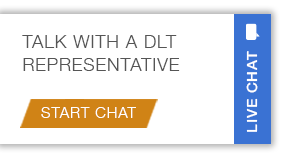 For more information, call 1-800-262-4DLT or email ipm@dlt.com.